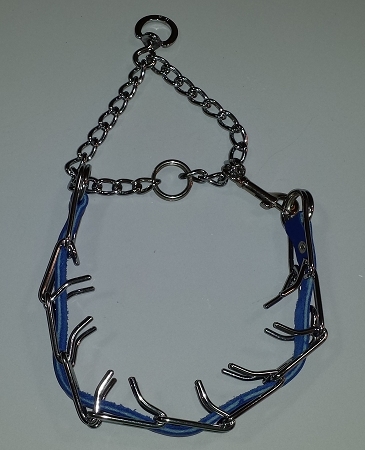 Large prong collar with leather weaved through the links. The leather keeps them from coming apart. Note: these are not adjustable once the leather is attached. Large prong collars are appropriate for dogs over 80 lbs.